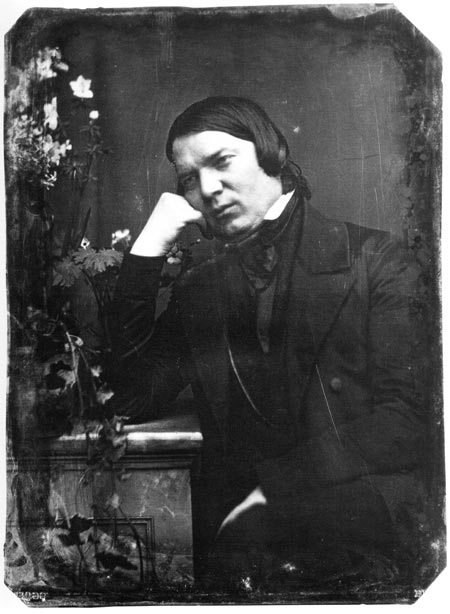 Schumann’s Cello Concerto was completed in a period of only two weeks, between 10 October and 24 October 1850, shortly after Schumann became the music director at Düsseldorf. The concerto was never performed in Schumann’s lifetime. The premiere was on 9 June 1860, four years after his death, at the Leipzig Conservatory in a concert in honour of the 50th anniversary of Schumann’s birth. The duration of performance is about 25 minutes. The first movement begins with a very short orchestral introduction followed by the presentations of the main theme by the soloist, which in turn is followed by a short tutti that leads into a lyrical melody. The second movement is a very short lyrical movement in which the soloist occasionally uses double stops. It also features a descending fifth, a gesture used throughout the piece as a signal and homage to his wife, Clara Schumann. Also, the soloist has a duet with the principal cellist, an unusual texture and one that could be interpreted as a conversation between Clara and the composer. The third movement is a lighter, yet resolute rondo. At the end of the movement, there is an accompanied in-tempo cadenza, something unprecedented in Schumann’s time. This cadenza leads into the final coda in which Schumann changes the mode to A major.